The National Blood Agreement describes the process for determining the products which are supplied under the National Blood Arrangements. Products which are agreed by the Council of Australian Governments (COAG) on Health Council under the National Blood Agreement are funded 63% by the Commonwealth and 37% by the states and territories. Changes to the products supplied under the National Blood Agreement are subject to an approval process. See Changes to National Product List for more information. There may be blood and blood products approved by the Therapeutic Goods Administration (TGA) for supply in Australia that are not included on the National Product Price List. It may be possible for these products to be purchased directly from the supplier. However, payments for these purchases must be arranged separately, and are not funded under the National Blood Agreement. The National Blood Authority is responsible for the procurement of products agreed by the COAG Health Council. The products are then included on the National Product Price List, and forwarded to the COAG Health Council for approval as part of the National Supply Plan and Budget. 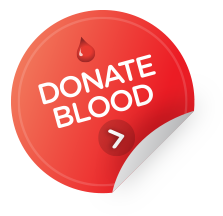 The price does not include the starting plasma provided to CSL by the Australian Red Cross Blood Service. The presentation volume for a typical unit content is specified in the Australian Red Cross Blood Service Blood Component Information, 2012. Plasma for Fractionation is supplied to CSL for manufacturing plasma derived products.